Dr Julie Brown works in the lab and in the field to understand what sort of injuries are most commonly suffered by Australian children, and how we can best prevent those injuries from occurring. Specifically, her group is studying how injuries occur in children when they are involved in crashes, and how changes to the types and design of restraints used by children can reduce serious injuries and death. Why is child injury prevention research so essential? Unintentional injury continues to be the leading cause of death and disability among children in Australia. And in NSW alone, around 60 children die every year from unintentional injury and a further 20,000 are hospitalised, so you can imagine nationwide and worldwide the numbers are quite staggering. In researching ways to keep kids safe, and coming up with solutions are we creating strict rules for children at places like swimming pools and trampoline parks that take away opportunities for fun and adventure? We don’t want to wrap our children in cotton wool, we really do want them to engage in activities that promote appropriate, healthy development. But what we really want is to find ways for children to do this while minimising the risk of serious injuries because the consequences can be really severe and lifelong. Head injuries can have significant impacts on the physical, cognitive, behavioural and even emotional development of children. We want to encourage children to participate in physical activities, to have fun, take part in developmentally appropriate activities, but not expose them to preventable risks of life-threatening or disabling injury. One of your recent studies found that there has been a small increase in sprains and fractures in kids under the age of 16 as a result of injuries sustained at trampoline parks. Tell me about some of the changes you suggested as result of this research. The Australian Trampoline Parks Association have been really fantastic in working with us as part of our research, and the outcomes of this is that, with Kidsafe Australia, we have seen the introduction of a new Australian standard that will govern the operation and management of these centres. That level of intervention will have a lot of impact on reducing the risk of injury to kids using these parks. What other areas of child safety does your research cover and how do you identify issues ahead of time? We use epidemiological studies to identify problems and define the nature of child injury in Australia, then we use surveys, fieldwork and laboratory studies to identify risk factors for particular types of injury. Then we work with clinicians or industry bodies to develop real, tangible countermeasures that address the problems. Are there any main areas of concern that you see? 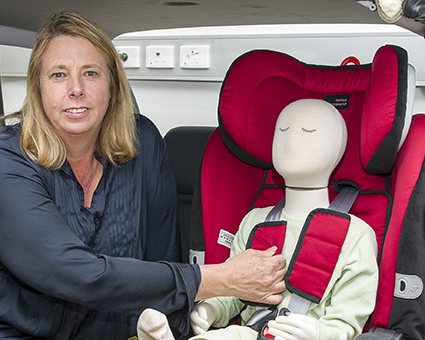 For a number of years we’ve been studying the safety of children in cars because, although travelling in cars is a daily activity, it is a global problem. By 2030, the World Health Organization estimates that traffic injuries are likely to become the fifth leading cause of death and the seventh leading cause of disability among children across the world. So in the last decade or so we’ve really been focussing on getting children into the right type of restraint for their age. We’ve seen some great results with more and more children using appropriate types of restraint systems, but our more recent studies have shown that we still have some problems with the restraints being used correctly. About 1 in 2 children will have some error in how the restraint is being used. So this is our current focus; trying to reduce these errors. We’ve been working with parents and others who use child restraints to develop better communication about how to use restraints correctly. We’ve also been developing, in the laboratory, new methods to study the interaction between children and the restraint system. Some of the errors are introduced when parents are installing the restraints, but children introduce others themselves. For example, taking their arms out of the harness. So you’re recording real-world examples of how child restraints are used and translating them to research, rather than using studies to inform people as to how to use the restraints. That’s exactly right. We’re watching kids in real cars and using methods to objectively identify the features of restraints that are more likely to be associated with errors in use. 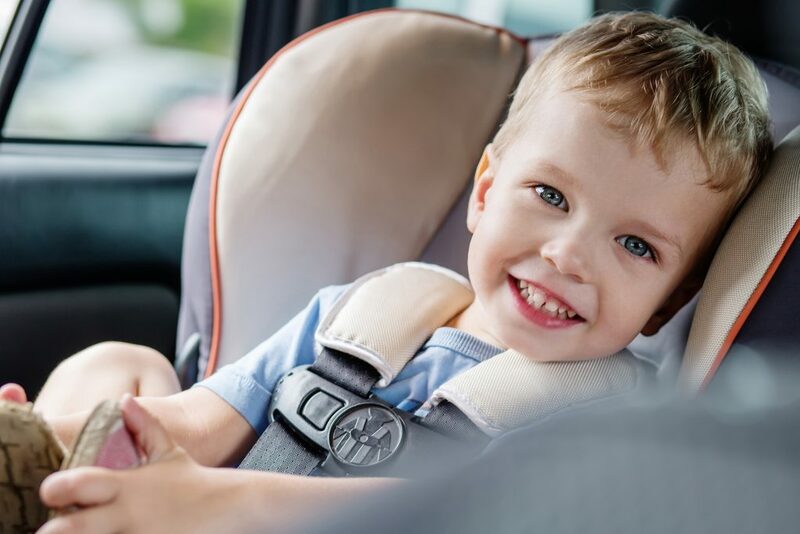 We’re about to start a new program, using these methods, to define the specific features of the restraints that are important for children maintaining correct use while they’re in cars.